Observation notes: Time: 3:31 p.m. Weather: Warm, fairly calm, and mostly cloudy (it rained at one point). Habitat: Very dry upland prairie, with fully blooming rabbitbrushes densely lining both sides of the gravel road. 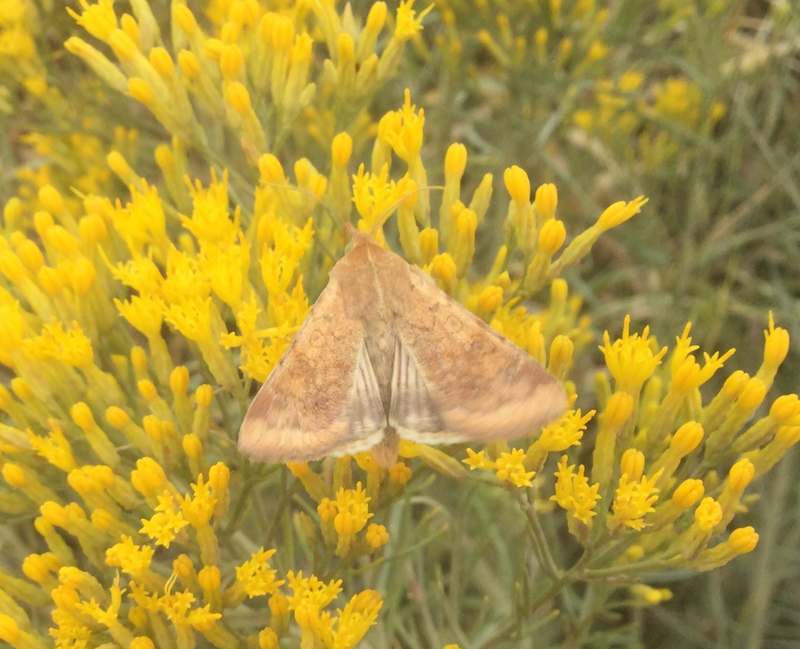 Notes: This moth was nectaring on a rabbitbrush at the edge of a gravel road. Again, it looks quite similar to the Corn Earworm Moth, but I'm not sure of ID.